Cabin Life - Adventures of a Sleep Away Camp! 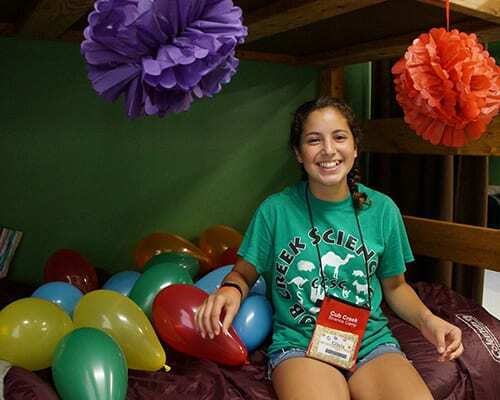 Sleepaway camps are referred to by many different names. Away camp, overnight camp and residential camp all mean the same thing. 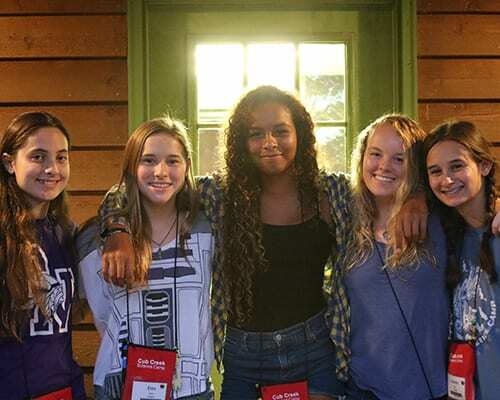 Staying at a sleepaway camp is very different than attending a day camp. Self confidence and independence are just two of the skills learned by living away from home. When you sleep away from home, cabin groups are where all the fun begins. This is your family within the larger camp family. Some of the strongest and longest lasting friendships are formed between cabin mates. Each cabin has three to four college age camp counselors who live in their own room within the cabin. A primary job of every counselor is to get to know their campers and help them feel comfortable and make friends. 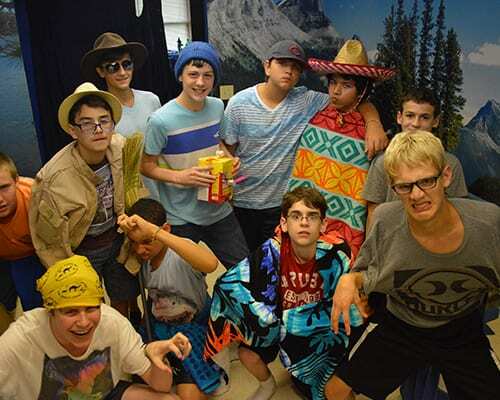 Cabin friends, share special bonds as they compete as a group in a variety of camp wide competitions, practice for the end of the week skit and work to ensure that they all earn special cabin prizes. Cabin groups will eat meals together, go on a special hammock campout as a group and participate in all evening activities together. We work hard to honor every cabin request made by campers of the same gender and who are within two years of age of one another. More than half of our campers, however, come to camp without a buddy, and they like it that way. They will tell you that part of the fun of camp is meeting so many new people from all over the world. So, if you’re coming to camp without a bunk request, don’t worry! Staff are trained and ready to help all campers make friends here at camp! Our cabins are some of the nicest available at any summer camp. We don’t have different levels or styles of cabins. Every one of our cabins is roomy, with private bathrooms and showers, a chilled water fountain, semi private bedrooms with comfortable twin mattresses, a large covered porch, central meeting room and who could forget, AIR-CONDITIONED. While campers spend most of their time away from the cabins, we think it's important that after a full, busy day of activities, they are able to get a good night's sleep. Each cabin sleeps up to sixteen campers with up to four counselors, providing a 4:1 camper to staff ratio. Campers will share a bunk room with one other camper. Camp provides a fitted sheet for each mattress, but you are welcome to bring your own sheets with you if you would like. We suggest a sleeping bag as an option for a "comforter" or for campers to sleep in on their bunks.